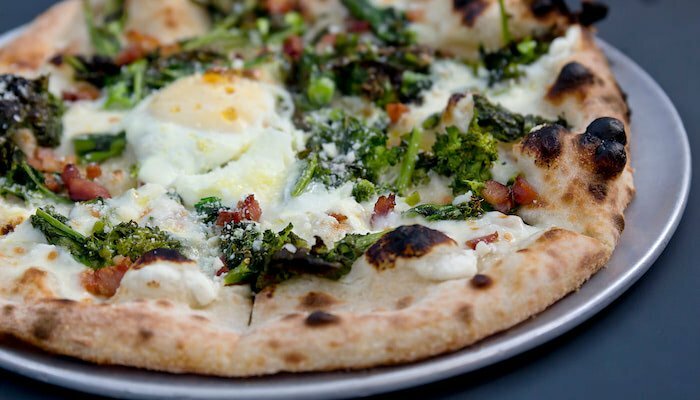 Proofing pizza dough is a balancing act between time and temperature. Introduce too much or too little of either one as dough is rising, and you could end up with crusts that underperform or outright fail. 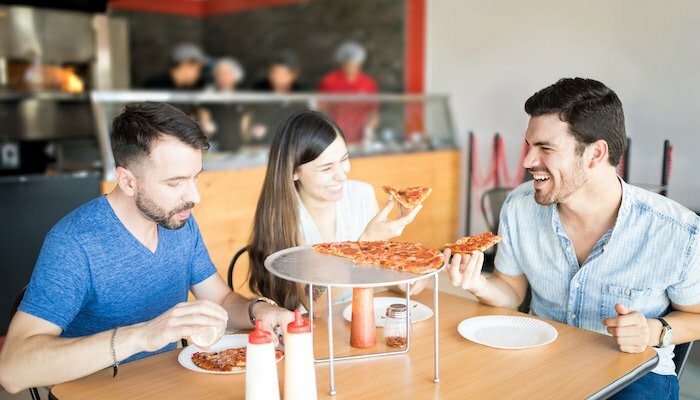 As the crust and dough experts, Alive & Kickin’ Pizza Crust is often consulted about proofing, so we decided to compile the most frequently asked questions, answers and best practices to help you perfect your proofing techniques. Does all pizza dough need to be proofed? No. Par-baked and live dough crusts require no proofing. Dough balls, on the other hand, require fermentation—the process whereby yeast digests sugar and produces carbon dioxide gas in the dough. The gas collects in and expands minute air cells as fermentation progresses, which causes the dough to increase in volume. In a restaurant operation, dough can be proofed in two forms: as dough balls and rolled out. Dough for hearth-baked pizzas and most screen pizzas is proofed as dough balls. 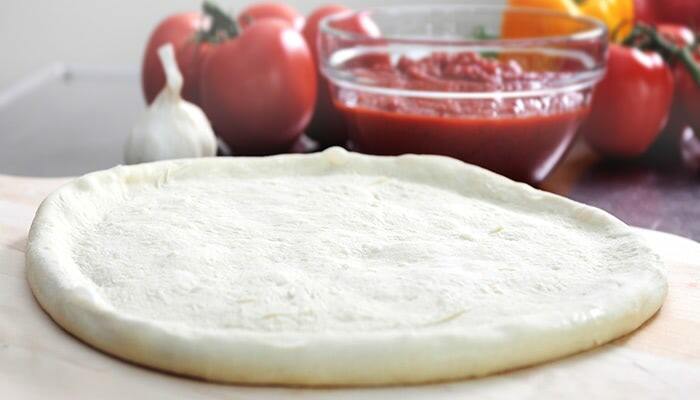 Pan pizza dough is usually proofed after it’s rolled out and placed in the pan. How do I proof pizza dough? Proofing starts with dough management, which means either cooling or warming dough during proofing so that fermentation — the rate of rise — is either slowed down or sped up. Fermentation is slowest at 33°F. As the temperature increases, fermentation accelerates up to 100°F, after which it begins to slow until it reaches 140°F and the yeast dies, essentially “killing” the dough. Lower the refrigerator temperature. Use a separate thermometer to check your refrigerator’s temperature. Is it above 38°F? Consider lowering the temperature to 34°F. Keep the walk-in refrigerator door closed. Even if the refrigerator is set at the recommended 34°F, if the door is routinely opened or propped open for a period of time, temperatures can easily spike to 50-60°F. In either case, it would take at least an hour for the cooler temperature to drop back to the mid-30s. Allow full airflow around dough trays. To ensure a rapid drop in dough temperature, the cold air in the cooler must be able to circulate completely around the trays. Keep the trays off the floor (a pallet or dolly works great) and remember the rule of three: keep a 3" gap between stacks and between the trays and cooler wall. After the dough has reached 40°F, stacks can be moved closer together. Cross-stack dough trays in the cooler. To ensure proper dough temperature drop, double space your trays for about an hour before racking them. Sheet pans or bakery trays are preferred for proofing because they allow for better airflow than fiberglass dough totes (pans with sides), which results in uneven proofing. We also recommend wrapping dough balls in plastic wrap to prevent crusting that can occur when cross-stacking exceeds 90 minutes. If the trays are racked for 60-90 minutes, any crusting will typically disappear within 8 hours as the dough ferments. How do I determine how much dough to proof? Production planning. To achieve proper rise, dough-making must be synchronized with pizza production. Tracking pizza sales helps. In short, before each dough-making session a manager should project dough consumption for the upcoming period and subtract the amount on hand. That amount of dough, plus a 10% buffer, should then be taken out of the freezer. Rotation and First-In-First-Out (FIFO). Refrigerated dough should be tagged, showing when it was taken out. Then, stock should be rotated in the cooler so the oldest is always used first. Without proper rotation, over- and under-risen dough results. How do I know if my dough has achieved proper rise? Dough performance will tell the tale, both during proofing and baking. 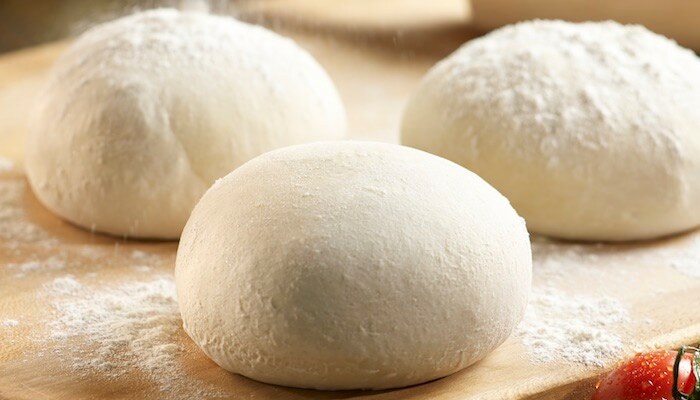 Learn about the benefits of partnering with a dough manufacturer to overcome the challenges of scratch-made dough detailed in Getting Stared With Pre-Made Dough Balls: A 3-Step Guide. Click the button below to access your copy now!